In 1998, one of us (James) took a guided tour through the Pentagon, the US Department of Defense headquarters in Arlington County, Virginia. It was quite an eye-opener. That reply seemed to satisfy the boy until about five minutes later he repeated the question and received a near identical response. This same question-same answer pattern continued for the remainder of the tour, visibly raising the young staffer’s aggravation levels every time he was interrupted and forced to answer the persistent boy. In all likelihood the boy had watched TV shows or movies referencing the conspiracy theory which insists there are miles of tunnels, subterranean levels and underground bunkers below the Pentagon, suggesting what’s seen above ground is merely the tip of the iceberg. Pure fantasy? Imagine for a moment a reality where all the technologies that futurists have predicted have already been invented and are currently being used by a privileged few. There have been numerous reports of scientific inventions that never saw the light of day even though they were perfected and ready to go on the market. Rumors of these radical inventions date back to the post-Industrial Revolution period in the late 1800’s and early 1900’s, and have persisted right up to and including the present day. In Underground Bases, book seven in our Underground Knowledge series, we advise readers that most underground bases most are built inside or directly above natural, pre-existing cave networks; and in our blog of October 26 we listed examples of some of these networks. Now we turn our attention to the extensive underground cave system known as Craighead Caverns, in Sweetwater, Tennessee. Seen Magazine, of America’s Southeast Education Network, claims Craighead Caverns was named after an Indian chief who at one time owned the property and the cave, and who may well have discovered the tiny opening that was its natural entrance. In an article dated November 19, 2010, Seen Magazine reports, “During the Civil War (1863) parts of the cave were mined for salt-peter — which was used as a principal ingredient in the manufacturing of gunpowder. “In 1905 Mr. Ben F. Sands, then just a boy…pushed beyond the fluctuating pool of the Spring Room through the tiny mud crawlway — and into the Lake Room — discovering the Lost Sea. Rumors of a large lake in Craighead Caverns had existed before Ben Sands discovery, but these may have referred to the elusive back-waters in the Spring Room, and not the actual chamber of the Lost Sea. The Lechuguilla Cave, in New Mexico, is another example of the scale of underground cave systems. Only officially discovered in 1986, Lechuguilla is the deepest cave in the US and the seventh-longest explored cave in the world. New Mexico’s Lechuguilla Cave…a more recent discovery. According to ExtremeScience.com, this cave is a winding, twisting underground maze which has yet to be completely explored and mapped. Currently, 101 miles of Lechuguilla have been explored and mapped, with no end in sight. So far, the deepest part of the cave measured goes down 1,632 feet. This almost pales to insignificance when compared to the deepest cave in the world – identified by ExtremeScience.com as Voronja, or “Crow’s Cave”, in the western Caucasus Mountains of the Georgian Republic, which “has officially been verified to be 7,021 feet deep.” According to Wikipedia, it remains the only known cave on Earth deeper than 2,000 meters or one and a quarter miles. “The earth is a much grander, mysterious and wondrous place than anyone could ever imagine in our wildest dreams! If true, an entire ‘second’ earth exists right below our feet!” So says one ArraiEl in an article published on the Yahoo Voices website. Such speculation motivated us to research and write UNDERGROUND BASES: Subterranean Military Facilities and the Cities Beneath Our Feet – one of the bestselling books in our Underground Knowledge Series. While the vast majority of underground bases are said to have been constructed by the Military Industrial Complex, it seems most are also built inside or directly above natural, pre-existing cave networks. Either that or the constructors have made use of miles of abandoned mine tunnels and shafts. This would make sense as those who design and build such bases would naturally look to utilize the best of nature and man – and possibly extra-terrestrial civilizations as well. When it comes to American underground bases, this may not be as crazy as it first seems as much of mainland America is dotted with sinkholes, abandoned mines and enormous caves and cavern networks. The word cave usually conjures up images of small caverns or fissures in the ground. But the reality is there are giant underground caves extending many, many miles underground. Some are said to be bottomless – and who are we to argue? For all we know, a cave or cave system could start in the wilds of Montana and end in Alaska. Many caves, including one nicknamed the Subterranean Grand Canyon, are so vast only their entrances have been explored, while others – it’s universally agreed – have yet to be discovered let alone explored. 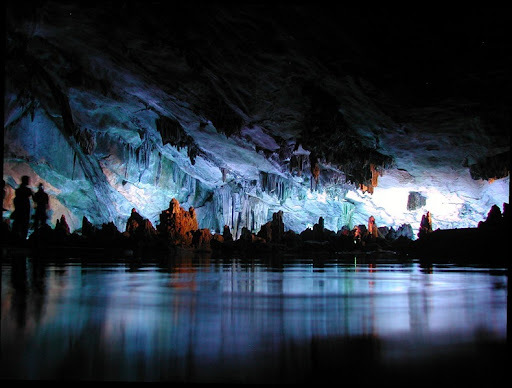 And many of these giant cave systems contain rare rock formations and unusual geology, significant underground rivers, lakes and seas with unique species of cavefish in them, as well as abundances of gemstones, crystals and gold. A lake inside the Reed Flute Cave in Guilin, China. The Er Wang Dong cave system, in China, even has its own climate system complete with clouds and rain! The report continues, “A team of expert cavers and photographers have been exploring the vast cave system in the Chongquing province of China and have taken the first-ever photographs of the natural wonder. 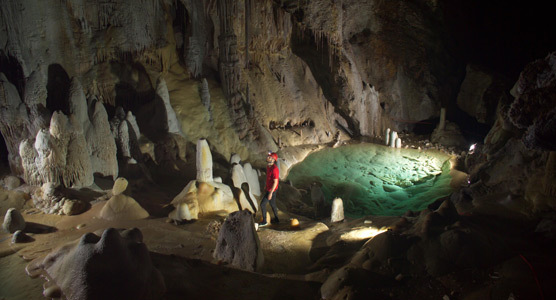 “They were amazed to discover the entrance to the hidden Er Wang Dong cave system and were stunned when they managed to climb inside to see a space so large that it can contain a cloud… The cave system discovered is not the only one with clouds inside, as humidity rises inside the caverns into colder air to form clouds inside the giant, enclosed spaces. One example of the scale of underground cave systems is the extensive system known as Craighead Caverns, in Sweetwater, Tennessee… But more about this phenomenon in a future blog. UNDERGROUND BASES: Subterranean Military Facilities and the Cities Beneath Our Feet — a book that speculates on what the world’s superpowers get up to in their secret underground bunkers — has been launched as a paperback on Amazon this week. Book details subterranean facilities not known to the general public. What do the world’s superpowers get up to in their secret underground bunkers? Underground Bases, book seven in The Underground Knowledge Series, details confirmed and rumored underground facilities in the United States and around the world. Containing rare photographic evidence throughout as well as little-known quotes from key government figures, it makes a compelling case for there being an enormous hidden world under the Earth’s surface. The authors speculate that the covert underground infrastructure may be far bigger than anyone has previously supposed and is likely used for the development of suppressed technologies. Their sources include declassified files, university reports, WikiLeaks’ documents and interviews with ex-military personnel turned whistleblowers who claim to have worked in “cities below ground”. 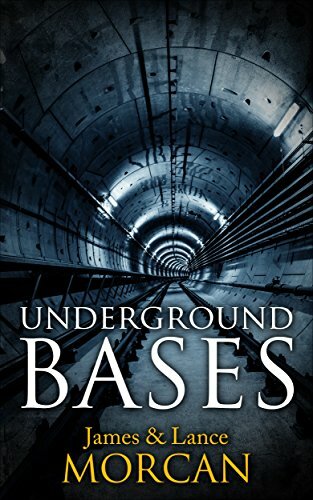 Underground Bases delivers a vast array of facts and theories that ultimately allows readers to form their own conclusions. The exposé covers everything from: the US Department of Defense’s verified evacuation areas beneath the White House and the Pentagon as well as their acknowledged sites at Mount Weather and Cheyenne Mountain; underground facilities around the world including Russia’s sprawling Mezhgorye complex and Australia’s CIA-managed Pine Gap; the long-forgotten newspaper headlines which reported that Adolf Hitler and senior SS officers may have built a Nazi colony beneath Antarctica after WW2; rumors that human-alien joint ventures are occurring below ground and that kidnapped citizens are being detained in subterranean prisons for illegal medical experimentation such as cloning. Why are the Global Elite spending trillions of dollars of their black budgets to build such vast networks of underground (and undersea and under-ice) sites? Are they simply preparing for emergencies as per official government explanations? Do they believe an Armageddon scenario is imminent? Are they secretly collaborating with extraterrestrials? Or, are they literally creating a breakaway civilization separate to the rest of humanity? 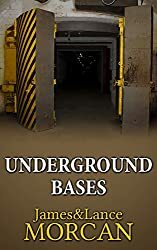 To attempt to address these and other questions, Underground Bases takes readers on a vicarious journey into miles-deep military bases and other subterranean facilities not known to the general public. Speculation over exactly what’s to be found below ground has long consumed researchers, conspiracy theorists and others. In UNDERGROUND BASES: Subterranean Military Facilities and the Cities Beneath Our Feet, book seven in The Underground Knowledge Series, we speculate that Nazi-spawned technologies may also exist below ground. This apparently dates back to the Project Paperclip scientists who were secretly ushered in to America immediately after WW2. Project Paperclip, of course, was that US Government-sanctioned initiative (documented and on the record) that saw thousands of Nazi scientists repatriated to North America at war’s end to provide urgently needed scientific expertise. Werner von Braun, the German-turned naturalized American and Godfather of NASA’s space rocket program, is one that many researchers have named in relation to underground bases. These Nazi Paperclip scientists were supposedly crucial to the development and construction of the underground bases and tunnels that now exist beneath American soil. If that sounds farfetched, remember it’s well-documented that von Braun and other Paperclip Nazis built V2 rockets for Hitler in large underground missile facilities in their German homeland in the 1940’s. 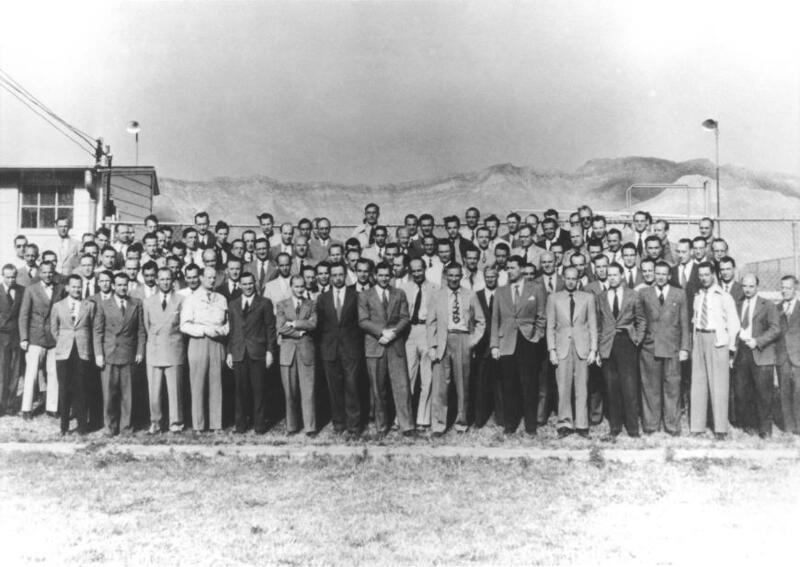 A group of German rocket scientists in Texas…members of the Project Paperclip team. Wildest of all, are the numerous conspiracy theories that maintain many of these underground bases – of which there are rumored to be thousands worldwide – are full of captive men, women and children. Some suggest the captives may have been taken from above ground, which may partially account for the hundreds of thousands of missing persons reported annually around the world who are never found; others suggest the captives are human clones designed to spend their lives enslaved underground to further the global elite’s agendas; and still others suggest some captives are used as human guinea pigs in radical science experiments conducted by scientists working for the Splinter Civilization. And then there’s the intriguing statements made by one Philip Schneider, an American geologist who, until his untimely death, also claimed to be an ex-government military engineer. Schneider said while he was involved in constructing additional bunkers in one underground base in New Mexico, he discovered aliens conducted horrific experiments on people detained in bunkers miles below the earth’s surface. (More about him later). We have no strong opinion either way as to whether aliens are with us or even if they exist. All we are doing is repeating the conspiracy theories out there concerning underground bases. It just so happens a lot of rumors and reports – some reliable, some not – on such bases involve either aliens or alien technologies. In many instances, the theories surrounding underground bunkers and aliens cannot be separated. Probing book asks: What goes on beneath our feet? There’s a long list of claims regarding the existence of underground bases around the world – and an equally long list of claims regarding the nefarious activities of the global elite and their pawns in these underground bases. We address these claims in our new release book UNDERGROUND BASES: Subterranean Military Facilities and the Cities Beneath Our Feet. In a chapter titled ‘What goes on beneath the surface?’, we expand on this. Some say the global elite have clandestine prisons where officially designated missing persons and others who have dropped off the grid are held captive; some believe human-alien joint ventures are taking place in these bases to further black technologies or to advance certain species. When it comes to suppressed science, the hit sci-fi television series Warehouse 13, which aired for five seasons until mid-2014, probably best portrays the secret science bunker concept. The basic plot has two US Secret Service Agents assigned to a top-secret government warehouse to protect scientific discoveries and radical technologies invented by Nikola Tesla and others – none of which the public are aware. The premise of a largely underground warehouse storing suppressed discoveries and inventions is based on conspiracy theories that have been swirling around for decades. Surprisingly, these wild conspiracy theories are not wholly unsubstantiated. There have also been some reports from former military engineers and government geologists about supersonic transportation systems underground. Who knows, maybe the global elite travel between cities and countries below ground, utilizing the underworld’s rumored faster transportation methods? It has also been claimed that radical biological experiments take place in the Splinter Civilization’s underworld. The kind that the laws of the land above ground don’t allow – such as unsanctioned forms of genetic engineering, human cloning and illegal drug testing by pharmaceutical corporations. Some conspiracy theorists who believe complex viruses like HIV/AIDS, SARS and Ebola are all manmade, have even theorized that these viruses are manufactured and tested in underground facilities before being unleashed above ground. An image supposedly smuggled out of Dulce Base, NM. “Dr. Michael E. Salla, initiator of “exopolitics” and author of a book entitled EXPOSING U.S. GOVERNMENT POLICIES ON EXTRATERRESTRIAL LIFE expressed his belief that there is a joint US/alien underground bio-lab beneath the Archuleta Mesa and that this must be addressed as a serious human rights abuse issue.” –Norio Hayakawa, official report of the Dulce Base Conference of 2009 in New Mexico. Underground cities a safeguard against some imminent catastrophe? Some observers claim the US Government is building underground cities in preparation for an imminent catastrophe. We investigate this in our new release book UNDERGROUND BASES: Subterranean Military Facilities and the Cities Beneath Our Feet. 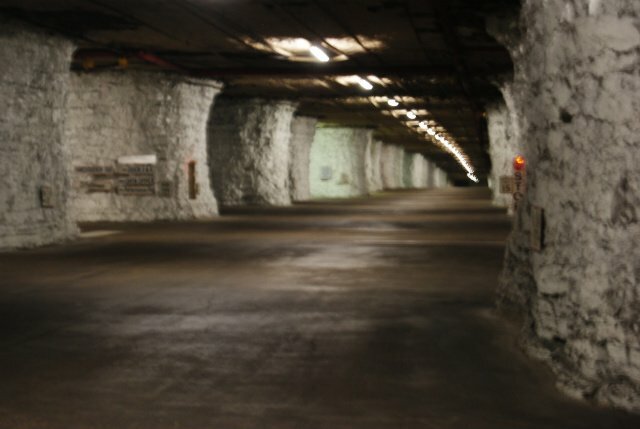 Inside a mysterious underground facility in the Ozarks. Whether the elite believe the coming catastrophe will be some kind of nuclear apocalypse or a religious, Armageddon-type scenario, nobody knows. At least, nobody we know knows. In episode 4 of the third TV season of Conspiracy Theory with Jesse Ventura, former Minnesota Governor Ventura and his son Tyrel Ventura, along with Sean Stone, son of Oscar-winning filmmaker Oliver Stone, travel to the Ozarks, a mountainous region of the central United States, to investigate rumors of underground developments there. They find the entrance to what appears to be an underground city being built inside a mountain. Despite heavy fortifications – and no doubt aided by Ventura’s status as former Governor of Minnesota – the team gain vehicular entry to the massive underground facility, which they discover covers an area of 50 square miles! As they drive around freely, they quickly deduce it is indeed an underground city in the making, complete with offices, warehouses, manufacturing plants, indoor farming facilities as well as stockpiles of food, water and crude oil. “It’s like they’ve got door-to-door transportation for the chosen few when it’s time to move inside and weld those doors shut. I don’t necessarily think it’d be a good place to live, but it would be a good place to survive.” -Jesse Ventura, from episode 4, season 3, of Conspiracy Theory with Jesse Ventura. The show it referred to is Conspiracy Theory. The channel’s report, however, debunks Governor Ventura’s findings in the TV episode. You can draw your own conclusions. That aside, it’s worth asking the question: Why are so many billionaires privately building all these underground bunkers of late?